↑ अ आ इ ई उ ऊ van Leeuwen, F. (November 2007). "Validation of the new Hipparcos reduction". Astronomy and Astrophysics. 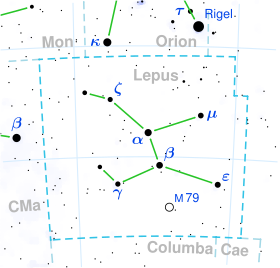 474 (2): 653–664. arXiv:0708.1752. डीओआइ:10.1051/0004-6361:20078357. बिबकोड:2007A&A...474..653V. ↑ अ आ इ Lyubimkov, Leonid S.; एवं अन्य (February 2010). "Accurate fundamental parameters for A-, F- and G-type Supergiants in the solar neighbourhood". Monthly Notices of the Royal Astronomical Society. 402 (2): 1369–1379. arXiv:0911.1335. डीओआइ:10.1111/j.1365-2966.2009.15979.x. बिबकोड:2010MNRAS.402.1369L.